2018 was a big year for me in the area of personal growth. I’ve always been a reader but have never really gotten into the whole self-help thing until this past year. 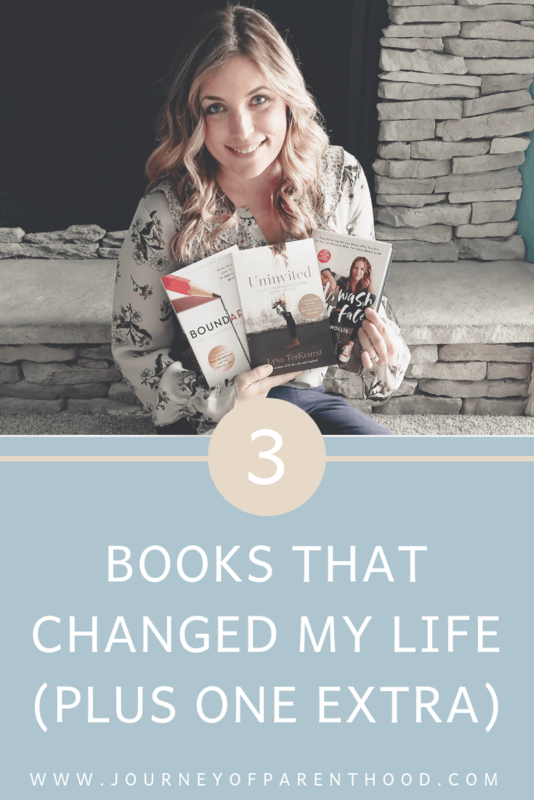 And I am SO thankful I took the time to pour into books that helped me grow in such a HUGE way. I really wanted to devote an entire post to sharing these books with y’all. Each of them has been a blessing in my life and I hope they bless yours as well. I also really wanted to bless someone with a copy of each book! Be sure to scroll to the end to see how to enter the giveaway. I pray the winner is blessed with an incredible year of growth in 2019 as I was in 2018 through reading these books and incorporating their wisdom and advice into my daily life! 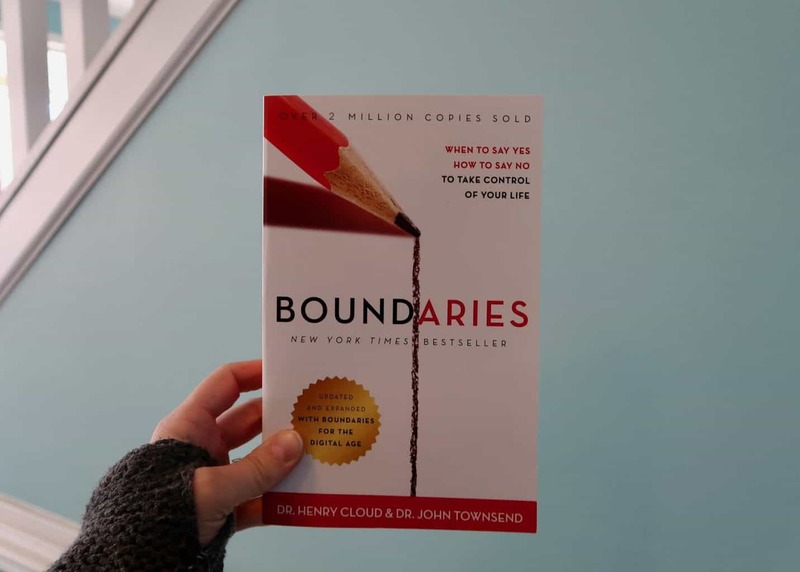 YEARS ago a counselor gave me the book Boundaries and I didn’t ever read it because the relationship I was struggling with boundaries at that time ended up no longer being part of my life (no point in setting boundaries with someone you no longer have a relationship with, right?). But then early last year I was battling a lot of hurts and some struggles in a relationship that had changed and molded into something different. It was hard for me to adjust accordingly. How to go from one type of relationship to another without hurting all the time. I randomly found the book when cleaning out our entertainment center and decided I should give it a go. I’m so glad I did! It is SO eye-opening in regards to why we set (or struggle to set) the boundaries we do in relationships and how to establish healthier ones for ourselves but also for the benefit of those relationships. After reading all three books I read this year though, I will say I recommended reading this one LAST. I shouldn’t have read it first. It’s deeper. It’s a LOT and I wasn’t mentally fully prepared for everything involved with the idea of setting boundaries. I struggled with going too hard and firm on my boundaries and then faltering and caving and giving in and giving up on them. I am actually planning to read the book again in 2019. After doing all the personal growth I’ve done I feel more mature and better able to responsibly set boundaries that I will also be able to maintain. Better able to handle the balance! A big takeaway I realized is that I don’t set boundaries. Like at all. I struggle with worrying about people not loving me anymore if I set a boundary with them. I am too scared of losing that love if I don’t do whatever it is they ask of me, or respond how they best want me to respond. (Another reason I should have read it last…because I’ve learned a LOT about my worldview and mindset and how I have to work through those things before I’m fully able to set healthy boundaries in relationships). Healthy boundaries don’t just benefit the person setting them – they benefit the relationship as a whole. This book will improve yourself, your marriage, your friendships, your relationship with your parents/in-laws, your bonds with your children, and basically just every relationship in your life. I don’t look back on 2018 and say “wow I did awesome in setting some boundaries!” BUT I look back and see that I did a great first attempt. I may have pretty much caved in on all the boundaries I attempted to set, but that’s okay. Progress over perfection! I know when I read through the book again that I’m better equipt now to truly set them and stick to them and not allow myself to slide back into old, non-boundary habits. You can read a LOT about my thoughts on this book in my post from yesterday (here). I actually wrote yesterday’s post because of this giveaway. 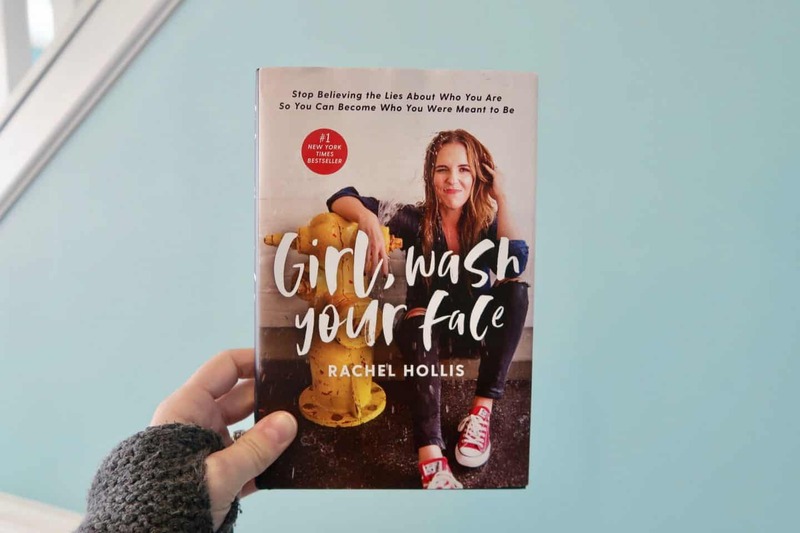 I felt like I needed to fully explain my thoughts and feelings and opinions about Rachel Hollis and her book prior to giving it away in today’s post. If you’re beginning to read self-help style of books then I’d recommend reading Girl, Wash Your Face FIRST. I regret not reading it first last year as it’s THE book that really pushed me towards self-growth in a way I’ve never been pushed before. It’s not a hard shove either, the book is truly a gentle push into the direction of personal growth. It doesn’t give all the answers, but it gets you wanting to learn more. Grow more. Do more to become the best version of YOU. Rachel is down-to-earth and relatable. Her book goes through lies she believed in her own life and how she came to recognize them as lies and discover the actual truths. It will fire you UP for some deeper digging into your own life. Something I love about Rachel (and her husband, Dave) is that they have SO MUCH totally and completely FREE content they share. Podcasts, lives on social media, articles, videos, etc etc. They are authentic people who keep things real and who truly have a heart for helping others. She doesn’t just write a book and then leave you hanging…she has TONS of content to help you along your personal growth journey. In watching her Facebook Lives each day I really have loved her emphasis on a solid morning routine and focusing on gratitude. Since reading her book I now get up an hour earlier each and every day. I drink at least half my body weight in water. And I started journaling. Every morning I write down 10 things I’m thankful for that morning, things I want to specifically pray about, and a Bible verse for the day. She talks about using the journal as a way to goal-set as well but that’s not an element I’ve been focusing on, at least not yet! I wanted to really use my time in the mornings to make sure I’m focusing on God and starting my day with a grateful heart for the abundance of blessings in my life! 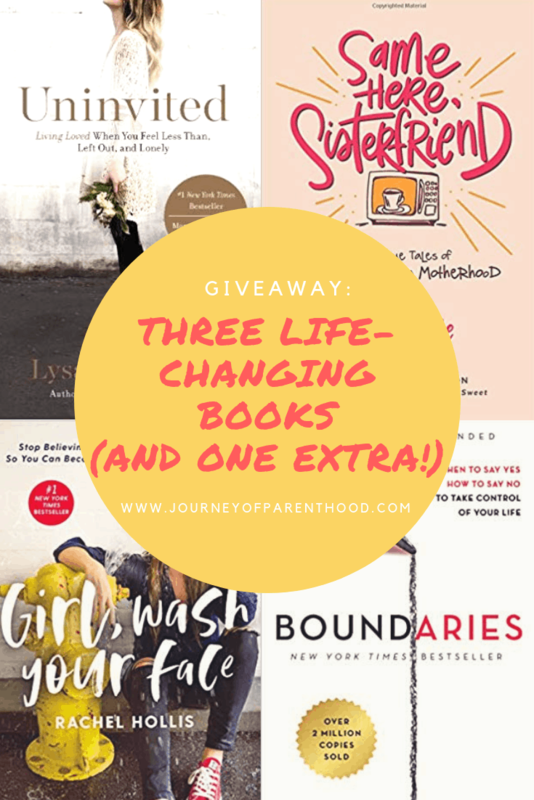 At first I was just going to do the giveaway for the books but I felt like if I was going to give away Girl, Wash Your Face that I HAD to include a journal to go with it! I love a good positive quote and thought “today I choose joy” was just so perfect. 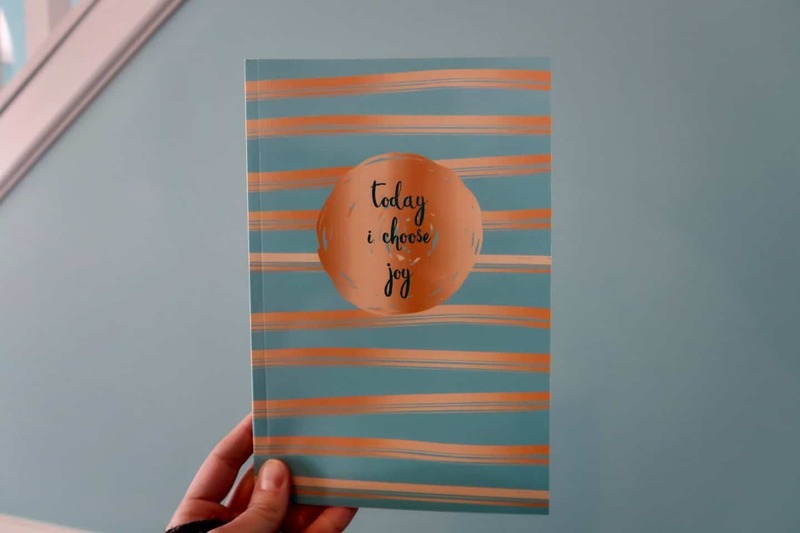 If you don’t win the giveaway you can grab your own copy of this journal here! I’ve known about Lysa for years as I actually used to babysit her nieces and nephew back in college! But I’ve never actually read one of her books. After reading Girl, Wash Your Face I got hit with some tough moments that brought up a lot of hurts and were reminders of things I just really needed to work THROUGH. Yes, the past is always part of us. We can’t erase it. But we can also choose to not let it have a hold over us. And that’s what I was really needing and wanting but not sure where to gain that from. I’m SO thankful to everyone on my Instagram Stories for suggesting Univinted. It was EXACTLY what I needed EXACTLY when I needed it. The entire book is basically speaking to me. I borrowed it from a friend but decided to just buy her a new copy and keep hers b/c I needed to be able to highlight and earmark and just kinda go crazy in it. It was a HUGE lightbulb moment in my life. The realization that I live my life in a constant state of rejection and from the viewpoint of being rejected. It’s not just helped to point out areas in which I need to heal and grow, but Lysa does an incredible job of also showing the HOW. She shares personal stories while also giving a heavy Christ-focus. It’s not preachy but is more about how God is there for us ALWAYS in ALL WAYS and how we can best lean on Him in our times of struggle and how to best allow Him to help us through it. The major message I took from her book is to LIVE LOVED. Rather than living in a rejection mindset I have to shift that focus. I’m not rejected by God. I’m always loved by Him. So I need to walk in a living loved mindset. Of the three books I read this year, the one I recommend THE most is Uninvited. It truly changed my life. Forever. Not just in some tougher relationships, I’m currently dealing with but especially with past hurts. Deep wounds. Hard scars. Anchors that have held me down. God’s love does not reject. His love does not uninvite. We have all felt insecure at some point in our lives. We’ve all dealt with feeling “left out” in one way or another. This book speaks to the heart! No matter what you’ve experienced, your life will be blessed by it. If you plan to read these three books then I’d highly recommend starting with Girl, Wash Your Face then reading Uninvited and lastly reading Boundaries. Girl, Wash Your Face gave me the push I needed to get rolling in personal growth – it showed me the WHY for it. 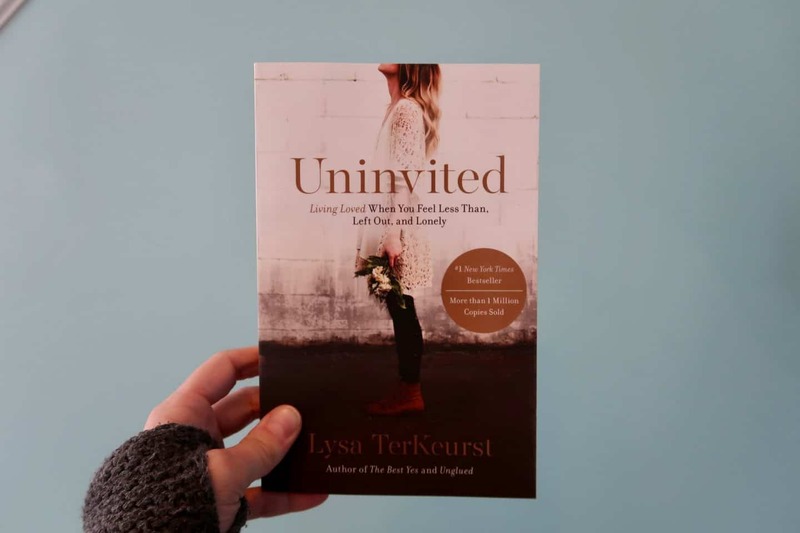 Uninvited opened my eyes and heart to the HOW I could become a better version of me. And Boundaries really gets into the WHAT as far as implementing the growth in a productive, positive way! In addition to the three books that changed my life in 2018…I also wanted to include a fun read for 2019. 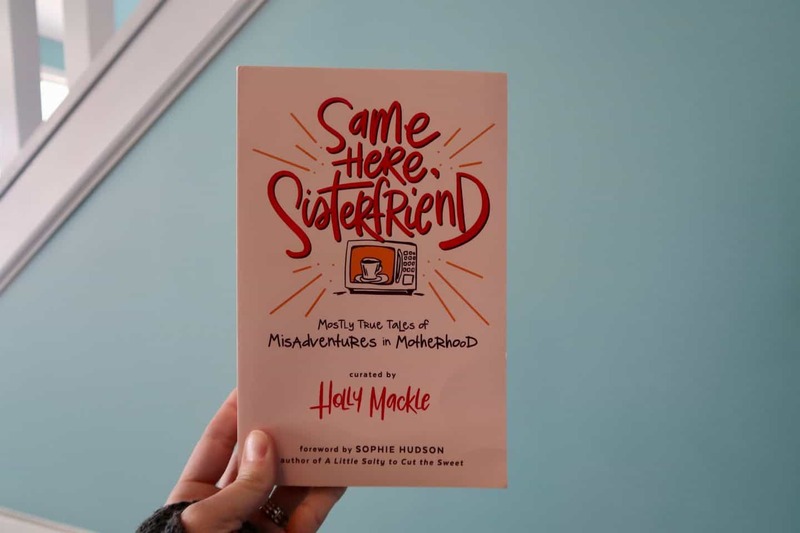 I haven’t yet read this book but am so excited to do so and am thankful to Holly for sending me a copy both for myself as well as a bonus copy to include in the giveaway for one of you! As mothers we all experience joys and messy moments. We all have times where we just want to pull our hair out and others where we just feel overcome with joy. In Same Here Sisterfriend, mamas share their mostly true tales of misadventures in motherhood. It’s a chance to relax and relate and laugh along the way! I’m so excited to read this book and know you guys will love it too! Keeping it real in my parenting journey is something I really value and the contributors in this book feel the same way – real mamas unite! Be sure to scroll down to enter in the giveaway! I’m giving away a copy of EACH book mentioned in this post. All four books plus the journal to ONE winner. It’s open to US residents only and ends on Monday, Feb 4th at 11:59 PM EST. I’d also love to hear from you: What books did you read in 2018 that chaneged YOUR life? What books are you currently reading or looking forward to reading in 2019? I also want to work through all the tools from Uninvited and then re-read Boundaries! Can’t wait to hear from yall what to add to my list and to see who wins the giveaway! I recommend – Parenting 14 Gospel Principles that can Radically Change your Family by Paul David Tripp. I enjoy your blog and am looking forward to reading your suggestions!! Can you talk about your morning routine? Time you get up, what you do, etc! Basically a morning in the life…. I’ve been on the waiting list at our library for Gril awash Your Face for a few weeks now. Maybe I can win and not have to wait anymore! I’ve never read any self help books but would totally love to try these out! Two of these are on my need to read list. These all look like fabulous books!! I have heard fabulous things about the Boundaries books too. I haven’t ever read a self improvement book but I’m excited to start. I am on a personal growth mission myself this year. Thanks for the awesome giveaway!! I’m currently reading Miracle Morning, which has given me the motivation to start getting up earlier every morning. Would love to read all these books too! I always love some good book suggestions. I’ve wanted to read all of these for a while now! I loved Girl Wash Your Face and Boundaries. Fervent is a must read! Boundaries is a life changer. I’m going through a really tough time in life right now, and reading this post brought tears to my eyes. Just knowing that someone else has had the same feelings as me really touched me. Excited about all of these books! My husband and I are reading #Staymarried; A Couples Devotional. We love it because it’s only once weekly, but it gives us time to connect through devotion and go through questions together.